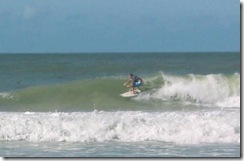 Gustav sent a few waves to Anna Maria Island, Sunday, and brought out a crowd of surfers and onlookers. A high tide and offshore wind meant the waves broke close to shore but some good rides were possible. Some gusty showers were about the only impact Gustav had on Anna Maria Island but the rain and possibly a raised sea level from the effects of surge caused an above average high tide. This entry was posted in Sports and tagged Atlantic hurricanes 2008, Gustav, Holmes Beach, Hurricane, Surf, surfcam, West Coast Florida surf on September 1, 2008 by Mike. 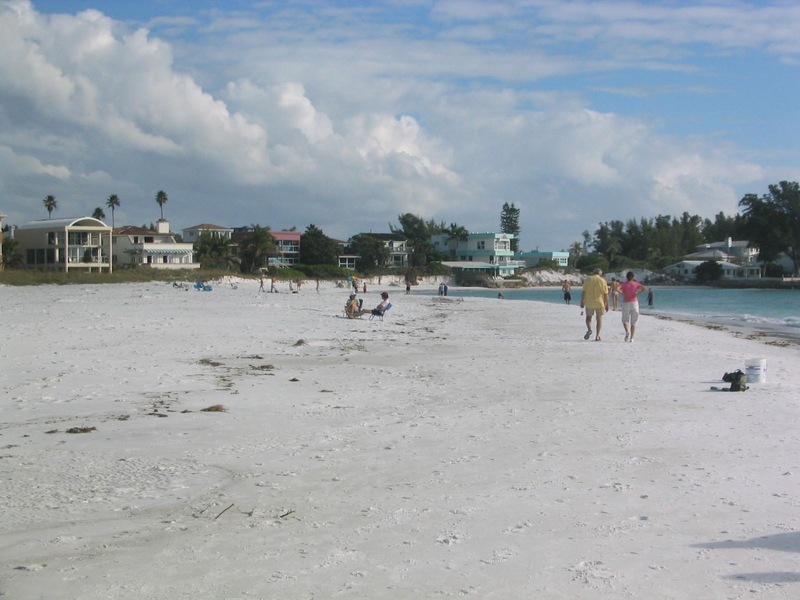 Perfect beach weather greeted spring break visitors to the Sun Coast this weekend. A refreshing breeze made the beach a comfortable place to get the summer tan started. The UV index is 9 (very high) so be careful not to stay exposed for long. Warm gulf air ahead of an approaching mild front brought out locals and tourists alike. The S wind also pushed up some breakers for a few surfers. As the wind clocks around to the west and drops the surf may clean up a little, but onshore conditions prevail through Sunday. This entry was posted in Sports and tagged Boating, Family spring break, Spring Break, Surf on March 15, 2008 by Mike.